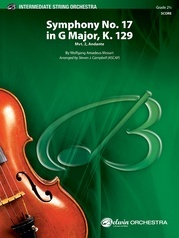 This fresh new arrangement retains all of the fire and passion found in Mozart's first minor-key symphony. 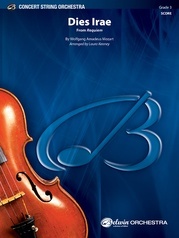 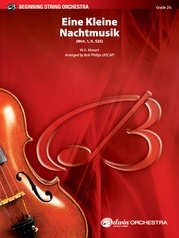 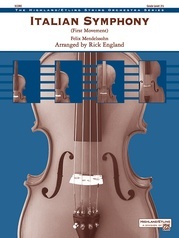 The second violin and viola parts are playable in first position, and the use of optional notes and divisi make the first violin, cello, and bass parts accessible to less advanced players. Mature junior high and high school players will enjoy playing this energetic movement, which opens the movie Amadeus. This title is available in SmartMusic.